Cincinnati boxing great Aaron 'The Hawk' Pryor has passed away after a long struggle with heart disease. Boxing great Aaron Pryor died early Sunday morning at the age of 60 after a long battle with heart disease, WCPO in Cincinnati reports. His 61st birthday would have been October 20. He held the WBA junior welterweight title from 1980 to 1983 and was the IBF junior welterweight champion from 1983 to 1985. Pryor is perhaps best known for his two fights against Alexis Arguello. The first bout between the two, on Nov. 11, 1982 in Miami, is regarded as one of the best boxing matches of all time. Pryor beat Arguello both times. He retired in 1991 and was inducted into the International Boxing Hall of Fame in 1996 and the World Boxing Hall of Fame in 2001. "I have great love, respect and admiration for my longtime friend," Sugar Ray Leonard said, per WCPO. "He will be greatly missed by so many." While Pryor struggled with substance abuse during his career, he became an advocate for clean living during his retirement, Boxing News Online notes. His widow Frankie Pryor said, "Aaron was known around the world as 'The Hawk' and delighted millions of fans with his aggressive and crowd-pleasing boxing style. But to our family, he was a beloved husband, father, grandfather, brother, uncle and friend." Pryor’s son, Aaron Pryor Jr., and Buddy LaRosa, who managed Pryor during his career, will honor Pryor on Monday at the Over the Rhine Boxing Center in Cincinnati, according to Boxing News Online. Pryor is also survived by son Antwan Harris, daughter Elizabeth Wagner and grandsons Adam, Austin and Aaron Pryor III. 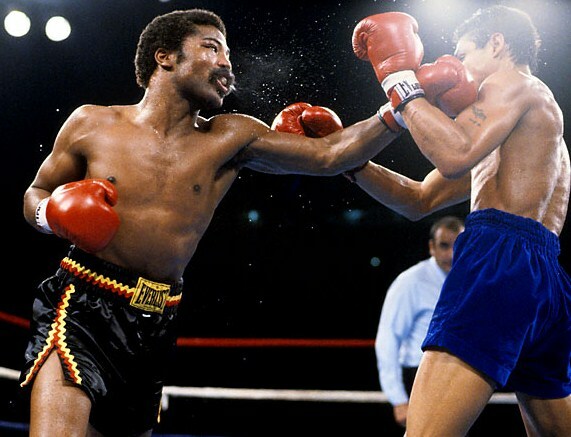 Aaron Pryor, the relentless junior welterweight who fought two memorable bouts with Alexis Arguello, died Sunday. He was 60. Pryor's family issued a statement saying the boxer died at his home in Cincinnati after a long battle with heart disease. Known as "The Hawk," Pryor was a crowd favorite who fought with a frenetic style, rarely if ever taking a step backward. His fights in the early 1980s with Arguello , the great Nicaraguan champion, were both classics that are still talked about in boxing circles. But Pryor was a troubled champion, and his career would unravel because of an addiction to cocaine.